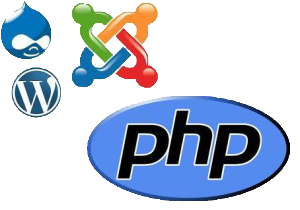 PHP, Hypertext Preprocessor, is a popular programming language being used for developing robust websites. If you want to make your career shine, you can take PHP training to become an expert in this language and get a job easily. Syntegotech Web Solution, a leading website development company, is now offering PHP training in Jaipur at their head office. It has a team of professional developers who have been in this field for more than 3 years and will be teaching you every concept of PHP and MySQL to make you an expert. During your PHP training in Jaipur, you will get to work with our team of experts in healthy and friendly work environment. They will provide theory classes first and then, give you tasks for practice, so you can learn PHP concepts in the most efficient way. They will also give you an opportunity to work on a live project with them. During theory and practical session, you can ask them to solve your problems.